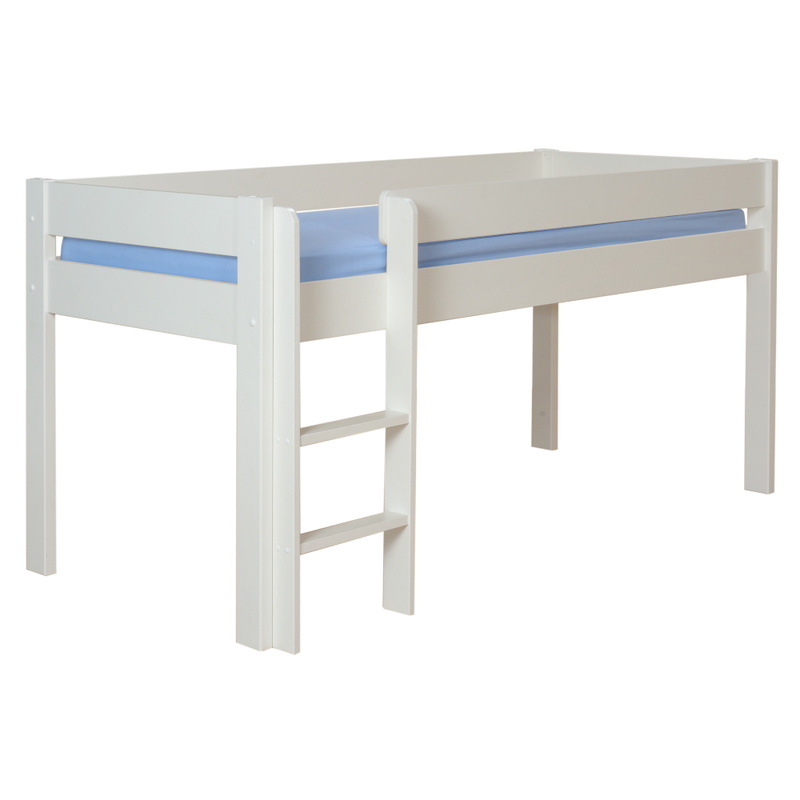 Attractive design with 2 sturdy side rails creating a cosy and safe sleeping area. 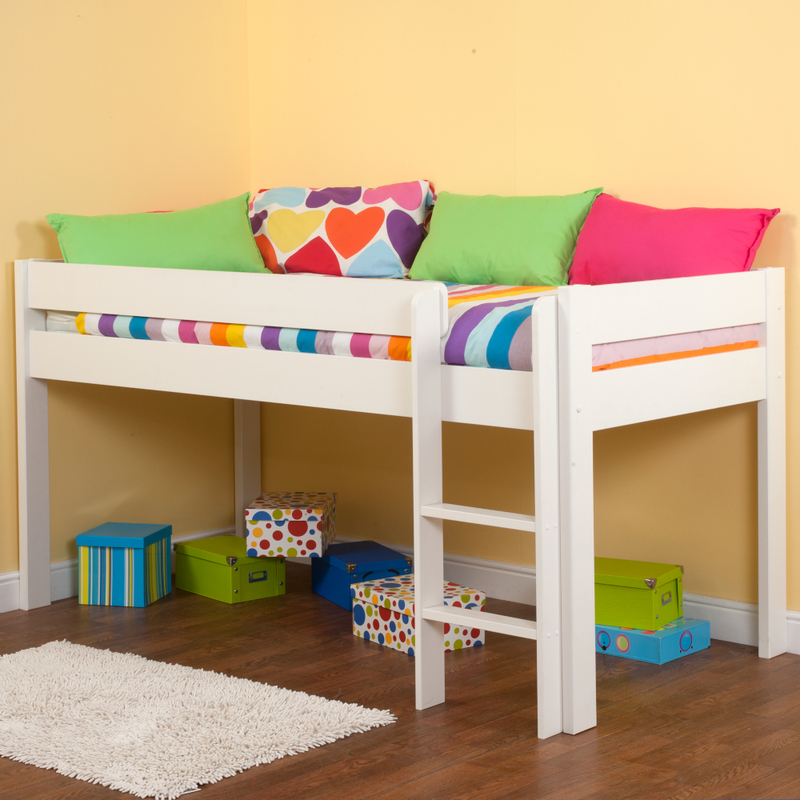 Includes Uno Midsleeper Bed Frame. 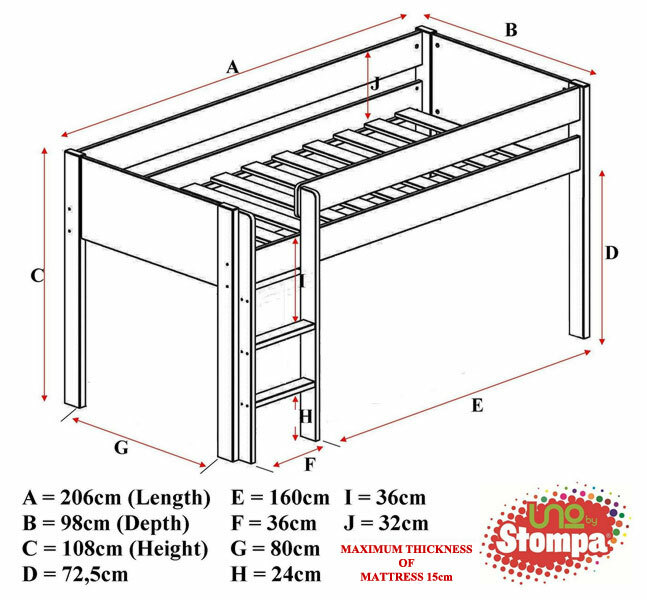 Size of Midsleeper Bed H1090xW1051xL2082mm. Ladder can be fitted either side to suit your bedroom. To view the technical line drawing specifications for the Uno White Mid Sleeper Frame please click on the following link.